Home 2011 Chinese Horoscope Chinese New Yeat 2011 feng sui fengshui metal rabbit Rabbit year of the rabbit What Will Rabbit Bring Us This 2011?! Now it's time for the rabbits! 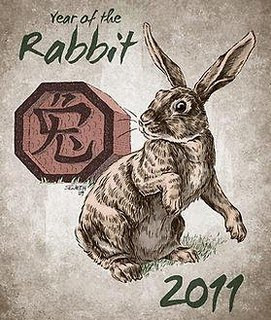 2011 is the year of the metal rabbit! Just like in every coming of the Chinese New Year, people were depending their lucks on the animals that represent each year. In this year of the rabbit, what do you expect?! Do you already consult any feng sui expert and hear their thoughts about it?! Or do you believe in things like these? !